We are very proud of Rob Kattenhorn who won Rehabilitation Professional of the Year, presented at the OBIA Thomson Rogers "Back to School Event" on September 11, 2014. Thank you to everyone who voted for Rob to win this award. Rob Kattenhorn, joined Lawlor Therapy Support Services as a Rehabilitation Support Worker ten years ago in 2004. Rob is a board member of the Brain Injury Association of Waterloo Wellington and is was one of the key coordinators of the Walk, Run, and Roll fundraiser for B.I.A.W.W in 2013 and 2014. He has also attended, and/or volunteered at numerous fundraising activities that support acquired brain injury since 2004. Rob is one of Lawlor's most requested staff. Numerous rehabilitation team members comment on Rob's professionalism, his genuine interest in his clients and his dedication. 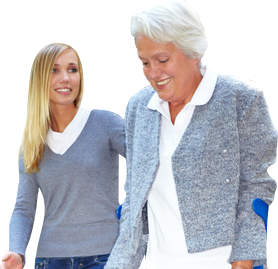 Rob's clients have relayed that he has assisted them in achieving many goals due to his genuine interest in their well being and his commitment to helping them gain their independence. Rob's job has always been to work himself out of a job with clients and he is the person to let you know when he thinks they are ready to move forward without RSW support. Rob's impact on others and delivery of care to his clients is truly remarkable. He is one of those rare individuals that puts others' needs before himself and is continually generating ideas in how to best support people. Rob does not work at this job for the compensation or the accolades, his reward is seeing the people he works with succeed and overcome obstacles.